Looking to update your kitchen? Nothing affects the look, cost, and longevity of your kitchen as much as custom wood cabinetry. We have a huge assortment of premium kitchen cabinets to fit every budget. Our cabinets are 100% real wood and made to last. We offer standard-sized cabinets as well as design custom layouts as per your requirements. If you are thinking of refacing your kitchen cabinets, stop by our Tampa showroom. Most of the time we can meet or beat competitor pricing for new cabinets of equal or better quality! You can make an appointment to come see us for faster service, but it isn’t necessary. 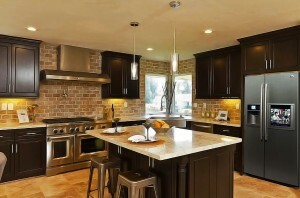 Click here to view some of the kitchen cabinets we have to choose from!